Welcome to the “everything you need to know” guide to becoming a Jesuit Volunteer (JV) in the Northwest. Learn more about Life as a JV, Where We Serve, the Benefits, Application, and Timelines. Be transformed by the call to peace and justice! Jesuit Volunteers (JVs) become part of a 60 year legacy of service to those who are marginalized in our society, including people who experience poverty, hunger, disabilities, and abuse. 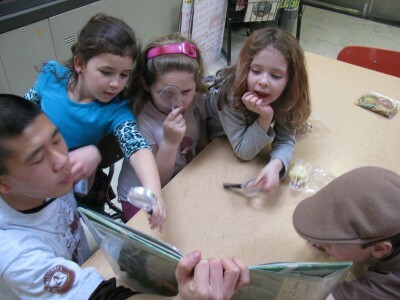 JVs serve with organizations dedicated to social and environmental justice and advocacy throughout the Northwest. JVs live in intentional community with other JVs for one year beginning in early August through the following July. JVs commit to integrating the four core values of community, simple living, social and ecological justice, and spirituality/reflection into their everyday lives. Feel free to contact the Jesuit Volunteer Corps Northwest office at (503) 335-8202. Simple living is an invitation to live more deeply and intentionally, to choose presence and mindfulness instead of being distracted by the noise and busyness of popular culture. Simple living also allows JVs to more fully connect with the communities in which they live and work and to more intently focus on relationships over objects. As an example, JV communities do not have internet connection and many JVs challenge themselves to limit the use of their laptops, smartphones, and other technological devices. For some, this is a new concept that can be challenging and rewarding. JVs may bring musical instruments and other personal items, but are asked to limit the number of possessions they bring to allow for a new outlook on the community and world around them. JVs are asked to not bring personal vehicles and to discern if they need a laptop or other technology during their year. JVs work for peace and justice by being aware of how attitudes and behavior affect others. Being aware urges us to change the attitudes and structures which create poverty, perpetuate oppression, and destroy ecological systems. Solidarity demands that we create change by working alongside people who are materially poor, oppressed, and vulnerable. We affirm the interconnectedness of life by making efforts to reduce our impact on the Earth. JVs live out this value each day in their service placement in addition to daily choices living in community. Examples include: use of resources, how money is spent, transportation choices, choosing to compost, etc. Rooted in the Jesuit Catholic tradition, JVC Northwest encourages JVs to personally and communally seek and live their spiritual values. Jesuit Volunteers bring to community life a rich diversity of spiritual backgrounds and belief systems. This diversity challenges JV communities, through reflective listening and conversation, to deepen and broaden their wonder and appreciation of the myriad and mysterious ways God is at work in each person. JVs live out their spiritual values by participating in and facilitating weekly community spirituality/reflection gatherings, and by participating in three multi-communal retreats throughout the year. The cornerstone of the JVC Northwest year is, not only to live a spirituality of communal, simple living and working for justice, but to have the on-going time and space to reflect on one’s experience, which is often the reason why the JV experience can be so transformative for people. JVC Northwest has established relationships in Native American, Native Alaskan, and Latinx communities over many years. JV/AmeriCorps members have been invited to share their skills and talents as well as to learn about the rich cultures in which they serve. 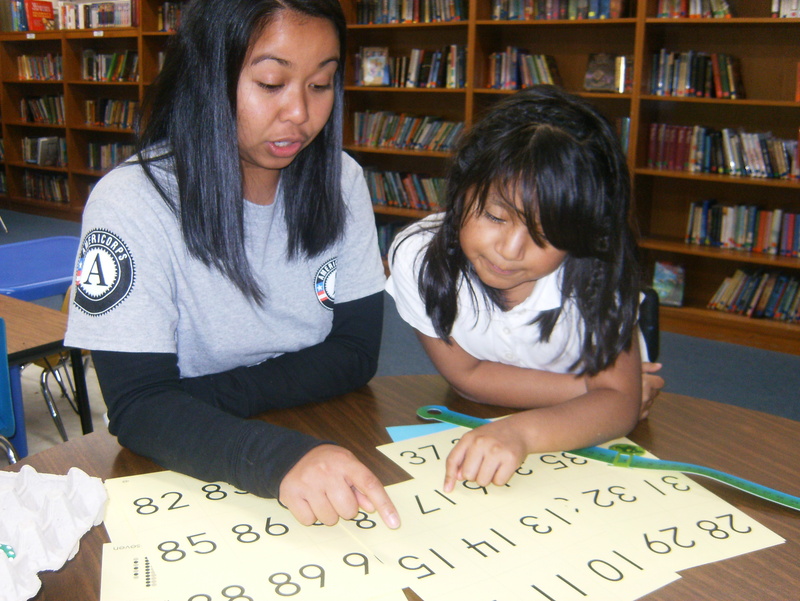 Curious to see what specific positions are available for JV/AmeriCorps members? You can browse through each of our positions, as well as sort by city, state, and service category on our Volunteer Opportunities page. JVs receive food and housing, basic medical insurance and a monthly stipend of $100. Almost all of our service positions are AmeriCorps positions. AmeriCorps members receive a living allowance that covers housing costs, food, transportation (e.g., bike, bus pass), personal stipend and additional health costs. However, a few positions involve advocacy or pastoral ministry, and thus are not AmeriCorps eligible. JVC Northwest covers these costs for these non-AmeriCorps JVs. JV AmeriCorps members also receive an Segal Education Award upon successful completion of their service year. The current Education Award for the 2018-19 service year is $5,920. AmeriCorps-funded aspects of the JVC Northwest program are contingent upon the availability of Congressional appropriations. Basic medical insurance is also provided by JVC Northwest for all JVs. The cost of transportation home at the end of the year is provided, however, the JV is responsible for transportation costs to Portland, Ore. for Orientation at the start of the service year. In serving, something deeper was stirred, a deeper need was met. I was gifted with time and I was led sometimes gently, sometimes abruptly, again and again to consolation and peace. Many people become JVs to make a difference in the lives of others. Along the way, JVs often discover that they are the ones being transformed by the many gifts they receive. JVs’ lives are forever changed by the relationships formed with people who experience life from the margins of our society. The practical and professional experiences gained during service can assist JVs in their future career paths, and new found friendships and relationships with coworkers, clients, and housemates can last a lifetime. The JV experience raises their consciousness of poverty, oppression and injustice, and moves the volunteers into solidarity with the people and places they serve. The experience is challenging on emotional, intellectual and spiritual levels and is often referred to by former JVs as one of the most rewarding experiences of their lives. During their service year, JVs have the chance to develop and strengthen professional and transferable skills that benefit them in future positions. Once Jesuit Volunteers conclude their year of service, they are considered “Former Jesuit Volunteers” (FJVs) and become part of a large network of over 6,500 FJVs from the Northwest, and thousands of others who’ve served around the country. Many FJVs stay or return to the cities in which they served, and become part of the larger JVC Northwest community, connecting with both current and former JVs in the area. Retreats, socials, and other gatherings often occur throughout the Northwest and rest of the country creating a close-knit FJV community. Through various city-based listservs, FJVs can meet other FJVs in their area, share job postings and resources, post about events, and locate housing opportunities with fellow FJVs. The invaluable FJV network connects and encourages service-minded individuals to remain rooted in the four values of JVC Northwest. We are now accepting applications for the 2019-20 service year. Click here to start yours today! Read more below about the application process. Jesuit Volunteers (JVs) come from a wide variety of backgrounds, experiences, and locations. JVC Northwest is committed to broadening diversity among JVs and welcomes persons of every ethnicity, origin, religion, ability, sexual orientation, gender expression, economic status, and veteran status. Applicants must be 21 years or older. Additionally, they must have one of the following options: a four-year degree, two years of full-time work experience, or a combination of school, work and lived experience that is applicable to the position for which they are applying. Applicants must be unmarried with no dependents and we ask that this doesn’t change during the service year. Several placements require a specific certification or skill (i.e. Teaching, Nursing, Spanish proficiency, etc.). Thanks for your interest! To learn more about a year of service with JVC Northwest, please fill out the Jesuit Volunteer Interest Form. One of our staff members will follow up with you shortly to share information based on your interests and questions. You can also contact Lindsey Boulais, our Recruitment and Marketing Manager, at lboulais@jvcnorthwest.org or 503-335-8202. Our two recruiters, Lydia and Claire, are currently visiting colleges around the country, and would love to connect with you! Check out their travel schedules and contact information here. Interested in applying for the 2019-20 service year? Click here to begin yours today! Applications are currently being accepted until all positions are filled. Learn more about the application timeline here. Want to apply for an additional JV year? If you’re currently serving (or have in the past served) with JVC Northwest or JVC based in Baltimore and want to apply for an additional year, we’ll ask that you fill out the Additional Year Application.. Contact Lindsey Boulais, Recruitment and Marketing Manager, or Cyndi Shantz, Program and Communications Assistant at the JVC Northwest office. Lindsey and Cyndi are happy to answer any questions you have about the program, life as a JV, or the application process. You can reach both of them by phone at 503-335-8202 or reach Lindsey via email at lboulais@jvcnorthwest.org and Cyndi at program@jvcnorthwest.org. JVs make a service commitment of one year, from August to July, with the option to reapply for an additional year(s). The application opens in the fall, and interviews and placements occur in the spring leading up to the start of the year. See more details about the process below. Take the time to talk with friends who have been Jesuit Volunteers. Ask questions about the program and what it could mean for you. Find out if JVC Northwest is the right service program for you. Learn what recent JVs have said about their experience. Meet our Recruiters: see their travel schedules here. Recruiter not in your area? Contact Lindsey Boulais, Recruitment and Marketing Manager, to hear more about the program. Spend time to reflect on the decision to serve. Connect with potential references who can fill out a reference form for you. You’ll need a Roommate, Supervisor, and Mission Reference (a mentor who can reflect on how you live out your values) as part of your application. Submit an application. The application asks for official or unofficial transcripts, a resume, a few essay questions, and three references. Applications are currently being accepted until all positions are filled. Receive confirmation: Once we’ve processed each of your application pieces, we will send a confirmation email within a few weeks with information about next steps. Within a few weeks of receiving complete applications, JVC Northwest staff will contact applicants about potential interviews. If offered an interview, we’ll share materials to help you prepare. We cannot guarantee that every applicant will be offered an interview. Completing the Service Interest Form (SIF) before your interview. The interview itself is a 90-minute phone call with one of our Program Coordinators. This is a chance to share your interests and hopes for a year of service, and a time of mutual discernment for applicants and our staff. Within about a week of their interview, applicants are notified if they’ve been accepted to the program. Applicants will be asked to share some their top placement choices and more about preferences for work environments, supervision, etc. Our program team will then determine the best position match where applicants’ skills and talents can be best utilized. We ask that all applicants are open to serving where their individual skills and talents will be matched to the agency most in need. From there, an interview will be arranged with a placement that is mutually agreeable for you, JVC Northwest and the partner agency. Many placements are finalized by the end of May, but many may take until June or even July. Applicants will be accepted until all placements are filled or until the service year begins. The 2019-20 Service Year begins August 5th, 2019 with Orientation, a week-long introduction to JVC Northwest. This is an exciting and fun week with opportunities for JVs to meet their housemates and experience what it truly means to be a part of JVC Northwest! After the week of Orientation, JVs travel to their locale and begin service mid-August.